When it comes to what Americans are known for around the world, taking road trips is definitely one of the most commonly known activities. 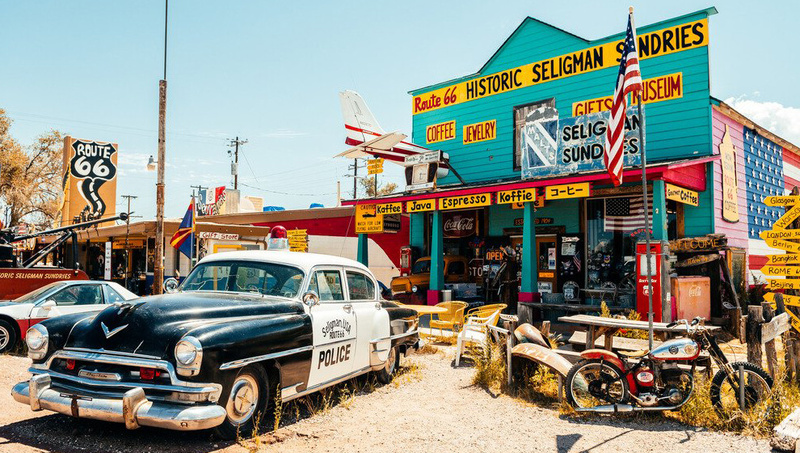 With nearly 2 billion acres of land to explore throughout the 48 continental U.S. states, Americans could spend their lifetime taking road trips throughout their country and never come close to truly reaching it all. 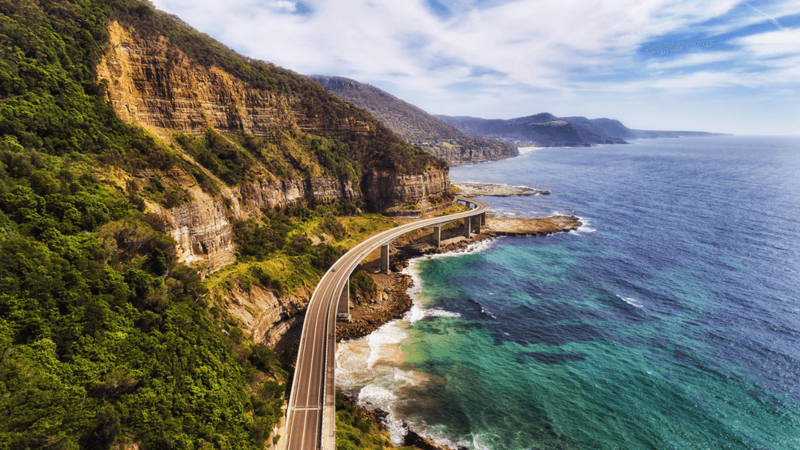 Once you've been able to secure enough time to set off on your road trip journey, you'll be presented with the true challenges of taking the perfect road trip. Whether you need help tackling common road trip challenges such as the costs associated with your road trip itinerary or trying to plan a road trip with multiple stops – we've created the ultimate road trip guide filled with road trip hacks that will assist you and your loved ones to build your own road trip in no time! One of the most challenging road trip questions many are presented with is the question of "what to bring on a road trip?" DriveSmart has created a road trip packing list that features the absolute essentials to pack before leaving on your trip. * These items will vary depending on the environment that you are intending to visit during your road trip. The United States is truly massive. By taking one look at the driving map of USA it becomes obvious that the amount of possible road trips one could take is endless. Before you dive in to create a cross country road trip itinerary for yourself, understand that you should spend a significant amount of time in preparation for your trip and the equipment that you will need. While it may seem old fashioned, purchase a physical map of the United States and familiarize yourself with it. Understand exactly how to read it, how to identify where your current location is and where your potential road trip sights are on it. While it's absolutely true that utilizing a smartphone's GPS navigation is much more convenient than trying to make sense of a traditional map, your map will always be there for you even after signal or battery issues strike you and your party. Using a physical US road trip map offers the benefit of showing you a lot more information at once, as viewing it on a screen limits just how much you can see per each scroll. Use highlighters and other markers in order to map out important highways, historical landmarks, gas stations, etc., in a color that will make this information immediately pop to you while you're out on the road! If paper maps aren't so much your style there are also mobile options offered to create the perfect travel plan. Using travefy's travel itinerary maker you can electronically plan out the best route to take to make sure you don't miss a single thing. Ensure that you purchase a carrying case that is waterproof and durable, as you never know what types of weather conditions and terrains you will face while you make your way through your road trip journey. The best US road trip map is one that can be read at all times and stays in tact throughout the entirety of your trip. While you may be used to hot & clear L.A., California weather, you should be prepared for the cooler & cloudy Colorado weather. Packing appropriate clothing that will keep you both warm & cool no matter where you find yourself is extremely important. If you're from New York & you're interested in a West Coast road trip, consider leaving the heavy jackets at home, as you'll probably find that they take up a lot of unnecessary space. Again, the United States is massive. Many who go on road trips choose to rent a car rather than bring their car that they rely on in their everyday lives on the thousand+ mile journey. This is an absolute must for those who lease their car, as you'll find that embarking on a cross country road trip will rack up typically more than 6,000 miles on your car by the time you've finished it! You will have to understand exactly where you want to go and how many miles it will be round-trip before you decide whether you want to pay per day or per mile. Most choose to pay per day, as the amount of miles they will be driving comes out to sometimes triple what it would cost per day, depending on the rental car provider of course. Stepping out of your comfort zone is what road trips are all about. Experience new areas, new people and new experiences is what it's all about. Luckily, stepping out of your comfort zone will lead to some of the most affordable sleeping arrangements available! Camping will ultimately be the best savers method when it comes to any road trip. Depending on how many people are in your party, pack a tent, comfortable blankets, a sleeping bag and fluffy pillows along with the other typical camping materials! By camping, you'll be able to cut down on the costs of hotels, motels, etc. Camping should always be considered as you begin to create a road trip. If you plan to pass by a loved one, reach out to them! If they're willing to host you for the night you need, you'll be able to save even more than camping (while staying safe indoors). Many Facebook groups exist specifically for networking those seeking to go on a road trip. Join these groups & start to make some friends! If you do manage to network yourself and feel comfortable enough – offer to split the bills associated with accommodation with your new road trip buddies! They'll most likely jump on the offer as you'll both receive affordable accommodation together! Note: Depending on where you originate from and where you plan to go, the cost of Airbnb rooms & hotel rooms may be in your budget if your destination's cost of living is significantly lower than that of your homes. Your food should be just as much planned as the route you're seeking to take, as it's definitely something you cannot survive without. You will find that your budget is completely drained if you rely on eating out, so pack a cooler along with non-perishable food and water. If you plan to camp outside, ensure that you pack along any cooking materials and setups needed to properly cook your meals. Planning out exactly what you'd like to sightsee & when can be extremely tough. This is usually where the Google road trip planner comes in, as Google is able to calculate the distance and time between points on your trip. Once you've made a list of everything you'd like to see, add them into a directions queue on Google Maps in order to better plan your times and what order you should see each landmark. Google offers the ability to dictate when you'd like to arrive at a specific area. It will recommend exactly what time you should leave and what route you should take in order to arrive at your desired destination in time. In addition, it doesn't matter if you're taking a California road trip, Colorado road trip or Florida road trip – Google Maps works virtually everywhere throughout the United States. With that said, it's no wonder why Google Maps is seen as the best road trip planner with stops. Thanks to the vast amount of resources provided to you online, budgeting out your trips have never been easier. By using these provided tools you can plan and budget out your entire trip in a single sitting, leaving the need to guess and check in the past. The trip calculator provided by GasBuddy allows you to do a majority of services needed all under one online calculator. The GasBuddy trip calculator allows you to enter both the starting and ending locations as well as the year, make and model of your vehicle. The calculator will determine the estimated cost, the length of the trip, and how many miles will be driven. This allows you to estimate the expenses needed, making this one of the best driving cost calculators currently available. If you know the logistics of the gas prices already and are just interested in knowing the total distance you will be traveling then you may just require a car mileage calculator. This basic calculator will ask for the provided starting and ending location and output the total mileage of the trip as well as the length of travel. TollGuru offers a free toll calculator that can be used to determine the total cost of travel including tolls from one location to another. The calculator will output the route of travel, the locations of tolls with their current prices, and the cheapest toll roads available. This is a very useful tool, as toll costs change as well as toll pass providers. Using a Gas Calculator will allow you to budget out your travel to ensure you won’t be in danger of running thin on expenses. Consider using the U.S. Department of Energy's Fuel Economy Calculator to determine the exact trip expenses as well receive a turn by turn directions for the entirety of the trip. One of the most common myths that hold millions each year back from traveling is that traveling is always expensive. The fact is, if you know what you're doing and how to book your travel plans right, you'll be able to save a considerate amount of money & travel without financial worries clouding your mind. Once you've got the hang of it, people will be begging you to "plan my road trip" going forward! To be clear, taking a road trip can be more expensive than flying internationally if you do not plan your road trip out efficiently. Before diving into techniques that can score you the cheapest road trip possible, it's important to understand just what can make a road trip so expensive in the first place. The cost associated with food and dining at restaurants is the number one culprit when it comes to the expenses that make a road trip expensive. This can be especially true if you're traveling with a family as restaurant bills that exceed $100 aren't new to parents of two. Foods purchased at grocery stores on the way can also add up, especially if you've found yourself at a more "luxury" grocery store with no sales section. In addition, sometimes food can be forgotten when you're active on the road or engaging in activities and could potentially spoil; thus, wasting money. Depending on where you're heading out to, you may find that hotels in your area average ~$120 a night or more! If you're unwilling to camp or unable to find accommodation elsewhere with a friend or travel partner, sometimes a hotel is inevitable. If you do choose to stay at a hotel, you shouldn't cut corners for a cheaper bill & always pick one that is comfortable, sanitary & in a safe area. The price of gas throughout the United States varies depending on where you are. As of January 2019, the average price of gas is $2.243 per gallon, with California the highest at $3.274 per gallon & Missouri the lowest at $1.894 per gallon. If you happen to drive a car that has a low gas mileage rating, you will find that a lot of your budget will be lost to refilling your tank more so than you would have to had you drove a car with better gas mileage. Of course, cars also pose the risk of breaking down or suffering other mechanical malfunctions that require a lot of money to fix. Being a device of moving parts, a car breakdown can sometimes be a wildcard that you least expect & can potentially prematurely end one's road trip altogether. You should without a doubt buy souvenirs that will allow you to always remember the moments you had on your trip. However, depending on where you shop for one, souvenirs pose a great threat to one's road trip budget. Tourist traps take advantage of many seeking to obtain memorable items by overpricing their items. Events & entertainment that you may schedule at your destinations can drive up the price a lot as well. In many cases, tourists book directly from the vendor's website where the tickets are sold at full price. Road trip music can be a hit or miss depending on who the concert is hosted by & where. Always pack food when it's possible. It cannot be stressed enough that you should always bring your own food stored in a cooler. You will find potentially hundreds of additional dollars remaining in your wallet if you resist the urge to dine out or shop at expensive grocery markets and pack healthy road trip snacks. Some cheap healthy road trip snacks include peanut butter & jelly sandwiches on whole wheat bread, hard-boiled eggs, fruits & vegetables, and yogurt. Go camping or find a cheap Airbnb. Many campsites offer a spot in their campgrounds for significantly less than hotel rooms. If you're able to find a (legal and safe) spot off the grid, that's even better! While Airbnb's prices aren't as low as they were years ago, the site still hosts listings as low as $10 a night in certain areas! Consider renting a car with great mileage. Instead of filling your car 6 times, wouldn't filling it only 2 times be so much better? If you're driving an older car or luxury vehicle with low gas mileage, you should absolutely rent a car or even borrow one from a friend or family that will be able to offer you more distance for your dollar. Alternatively, newer electric cars are currently a rental option. Using an EV trip planner will allow you to determine if your route includes multiple charging stations along the way. This will allow for a truly budgeted road trip experience. Plan your entertainment online ahead of time and try to stick to 1-2 souvenirs max. Sites like Groupon and RetailMeNot highlight events & services for significantly less. Always ask for discounts. You'd be shocked at just how many discounts slip under your nose simply because you never asked for them! Always try to limit the number of souvenirs you purchase. Unless it's a once in a lifetime chance item, think twice before making the purchase! One widely overlooked components of planning a road trip are keeping yourself and your family entertained while in the car. For most adults, keeping entertained may not be a difficult task as the road trip itself is considered the entertainment. But for those traveling with children, it may present an obstacle to overcome, as no one wants to be stuck in a car with a complaining child for hours on end. While road trips are one of the best family activities it would be a shame to simply provide your children with a Nintendo Switch or other handheld console that will disassociate them with the others in the car. "20 questions" is one of the easiest games to play with others and requires no set up at all, making it the perfect road trip game. The game is played by one person thinking of a noun (person, animal, vegetable, etc.) and keeping it a secret from the other players. The other players will then take turns asking yes-or-no questions, such as “do they have brown hair?” or “is it orange?”. After the players have asked all 20 questions each player guesses what the noun is. If they can guess correctly, the team guessing wins. If they all guess incorrectly, the person answering the questions wins. “Restaurant Race” is played by each individual choosing a restaurant of their choice (McDonald’s, Subway, Wendy’s,etc.). Players earn point by spotting their chosen restaurant off the road, on a billboard, or on signs. After 20 minutes, add up the total points and whoever has the most points wins. This highly encourages children to look out the window, allowing them to fully immerse themselves in their surroundings. “The punch buggy game” has been around for a multitude of years, and many more years to come. While its name may have changed over the years the game is still played even to this day. For the official rules to this game please refer to our article on the rules to the slug bug game. As the name suggests, the game involves TV show theme songs. One person hums the tune to a theme song, and everyone else guesses the name of the show. The first person to guess correctly gets to hum the next song. Among the list of things that make long road trips memorable, listening to music is almost always a major component to enhancing any road trip. Whether you are listening to relaxing music at night to keep yourself awake, or you are singing along to classics with the family; lasting memories will be made. Thanks to the vast amount of playlists available from services such as Spotify and Apple Music, curated playlists are easily available to stream at a moments notice. Though, it is always recommended to download the playlist for offline availability as connection on open roads becomes spotty. Route 66 is one of the most famous highways featured in countless books and movies. It's also the top cheapest road trip destination in the United States! Starting in Chicago & finishing in Los Angeles, the 2,400-mile highway exposes you to many types of Americans unique to their state. The cost of gas from Chicago to Los Angeles is estimated to cost you around $225. It can be even cheaper depending on your car's gas mileage. Like many families who begin their road trips from Chicago, the 2,400-mile-long journey offers a lot of road trip games for kids to keep them calm & patient. Being that Fortnite is now on most portable devices such as the Nintendo Switch or Apple iPad, the journey is a perfect opportunity for kids to get into the road trip vibe by earning their road trip skin! Fortnite is one of the best car games to play on a road trip for children, especially as it offers Fortnite road trip skin! Although nothing beats a punch buggy! 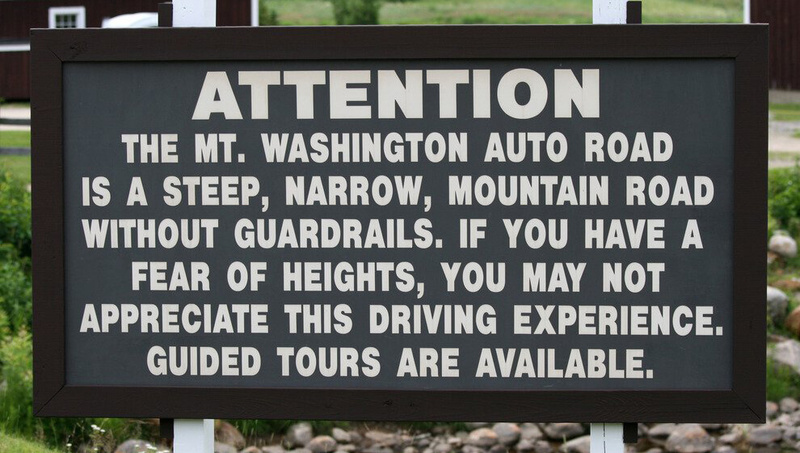 Known for its state motto "Live Free or Die", Mount Washington Auto Road destination that is truly open and free. The mountain offers "drive yourself" rates starting at $31 for the car & driver, $17 for a motorcycle & its driver, $9 for adult passengers, $7 for children aged 5-12, and free admission for any children under the age of 5. The self-guided tours are only available when the season is active, which is typically early May to late October. The mountain brings you thousands of feet up into the mountain and offers narrow roads without guardrails. As a result, this may be a deal breaker for those afraid of heights & unprotected narrow roadways. 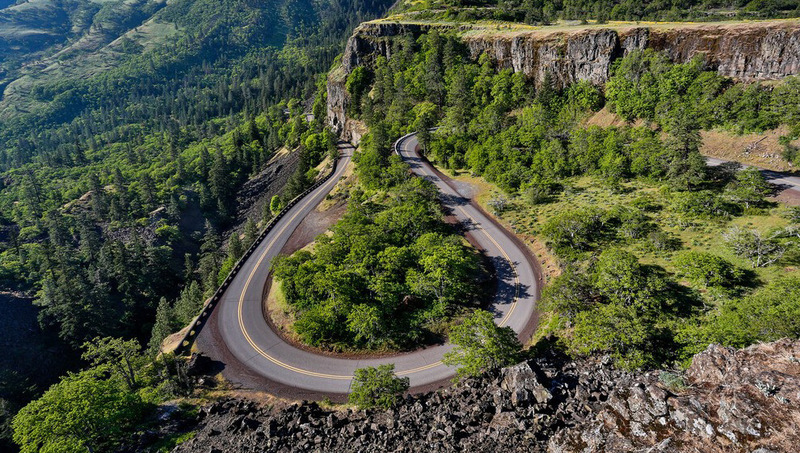 The Historic Columbia River Highway is a 75-mile-long (121 km) scenic highway with beautiful views of America's west coast. The highlighted trails include Mount Hood Scenic Loop which is rich in both beauty & history. Construction on the highway began in 1913 and ended in 1922. On May 16, 2000, the highway was designated as a national historic landmark. As of 2018, some of the highway's trails were still under construction. However, it made headlines as the construction is moving along quite quickly and will offer so much more to the already beautiful historic highway. St. Augustine is one of the most historically rich locations in the United States. 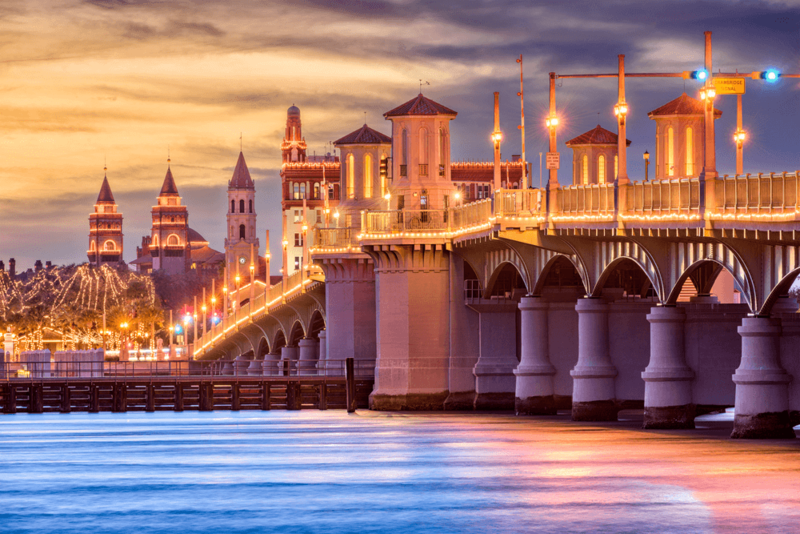 Known as one of the oldest cities known in America, St. Augustine offers a historically rich atmosphere, notable landmarks and a wealth of history at every visitor's fingertips. The city also includes the campus to Flagler College, a multitude of locally owned shops, a large number of dining options and ghost tours offered at night.